I know, I know! This must be the “n”th reviews that you have read about Plan B in the past few weeks or so. I promise to make it short and sweet. Word spreads just as fast as bush fire because Plan B looks like it’s crowded ALL the time, at least in peak hour. Well, what’s not to like about Plan B? 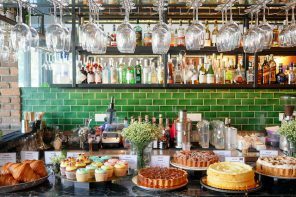 It is an experience to simply browse through the extensive selection of pastries and breads displayed at the island and savoring the beautiful delicacies inside the glass dome cake stand. Tempting customers by the front door is a large glass display of jewel-like displays of mouth watering desserts. The furniture and decor had a sort of vintage industrial feel to it. 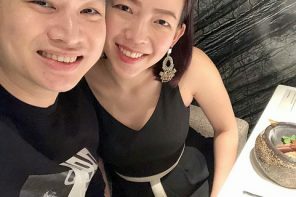 We spotted some old school black round electrical sockets, chandeliers made of steel pipe, and the wall mounted TVs were playing black and white P Ramlee movies. Watermelon Lychee & Lychee Lime (RM 8 each). 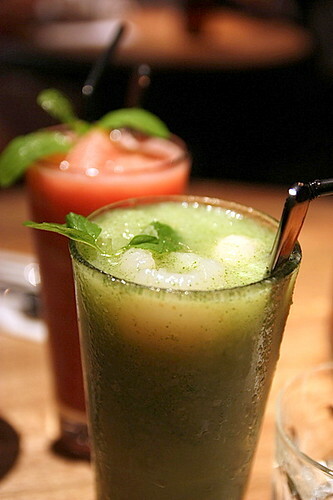 These drinks reminds me very much of my favorite thirst quenchers from Delicious Cafe. 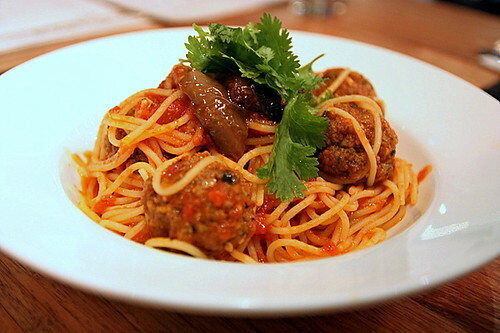 Moroccan Lamb Meatballs with Spaghetti (RM 19) in smoky eggplant and tomato sauce. The meatballs were amazingly juicy and delicious, and the pastas were well coated in a delightful tangy tomato pasta sauce. What a tantalizing combination! 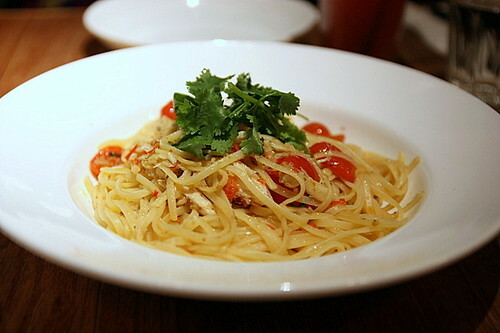 Spicy Crabmeat Linguine (RM 19). There’s a lot of briny and sweet crab in our simple pasta dish. The clever use of kaffir lime and lemongrass gives it a subtle yet crisp citrus taste. And the flavor of the spicy prawn oil is very pleasant. 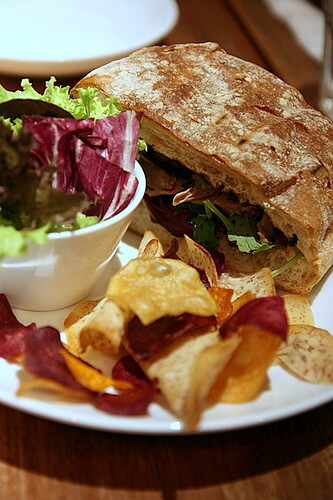 Duck Confit Ciabatta (RM 24) with caramelised onions, radicchio, watercress & toasted walnuts. It was another main course that we thoroughly enjoy but the chef is a little too stingy on the duck confit. We had such a hard time picking a dessert, everything look so good! 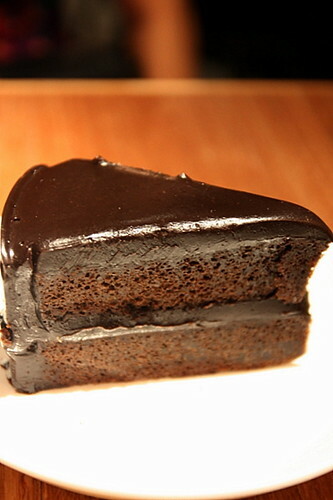 We settled with a Chocolate Fudge Cake (RM 10) but it was a bad choice! Imagine sweet fudge on top of a very sweet cake, it was just too sweet. And the inside of the cake was stale. 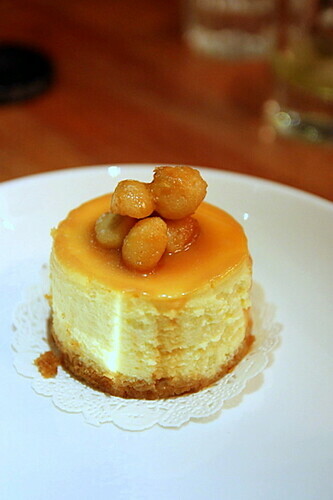 Macadamia Caramel Cheese Cake (RM 13). Light, creamy and nutty, the cheesecake was a crowd winner. However, I find the price a little too steep for its dainty size. CL, LP & me. My hot friends (on the left) are both single and available! Plan B is brought to you by the ex owner of Delicious Group, who is currently running the BIG group, who also owns Canoodling and For Goodness Sake. They seems to have the winning recipe in running a F&B business. 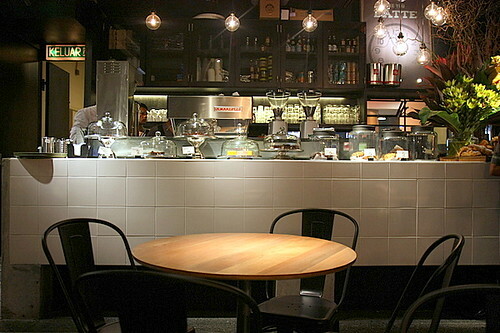 I love the food, the concept and the ambiance that Plan B creates. 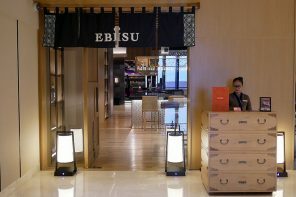 However, I hope that the management can do something to improve the quality of the restaurant service. Service was painfully slow, and we had to continuously ask for water, cutlery and menu. 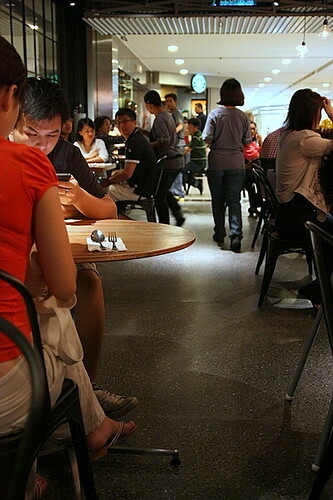 Gr Floor, Bangsar Village I. Opens from morning to 10pm. 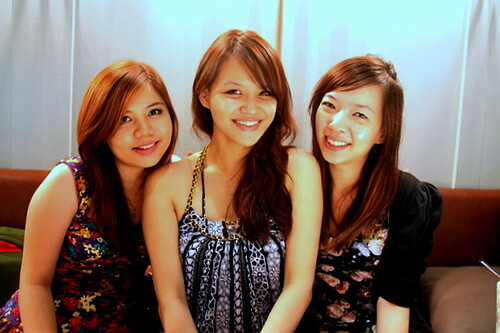 .-= J the chocoholic´s last blog ..Akari @ Solaris- Mont Kiara =-. .-= ai wei´s last blog ..Tien Sun Tien Restaurant 天上天美味园 @ Taman Connaught- KL =-. .-= thule aka leo´s last blog ..East Coast Trip Day 4 – Awana Kijal &amp Tong Juan @ Kemaman =-. I live so nearby but I have yet to try this place. That macadamia cheesecake does look puny! Erm, I think this was my first. Haha … and I thought what’s the Plan A? Reminded me of Delicious, yes. So much so, from the pasta to the cakes. .-= jason´s last blog ..DU Project- Kenny Uptown =-. Plan B, what a nice name…..but I’m curious what happened to Plan A? 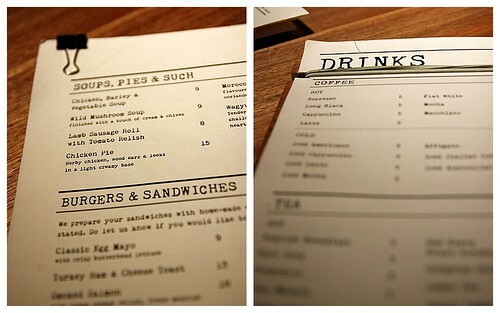 Nice food and review though, didn’t know that it’s a new place in town, maybe can check it out later. Wah that makes me feel hungry….